When it comes to organizing our living spaces, some of us need a little extra help, while others require all the help they can get. Both kinds of people can benefit from a little extra shelf space, so you can keep everything in its place, without having to hunt all over the house to find your favorite slippers. And if you're looking for an easy-to-assemble and low-key display case, this 40-cube organizer by Better Homes and Gardens is a simple and elegant way to show off your personal style and your favorite framed photographs, elegant vases, rustic rattan baskets and stunning coffee table books. 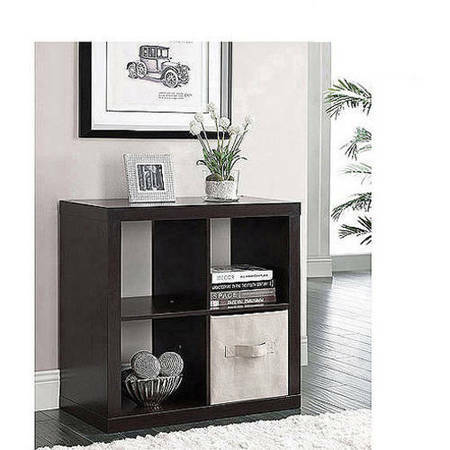 Crafted of sturdy MDF and particle board, this organizer is easy to put together and available in a palette of neutral colors that can fit into almost any home color scheme. Hardware included.